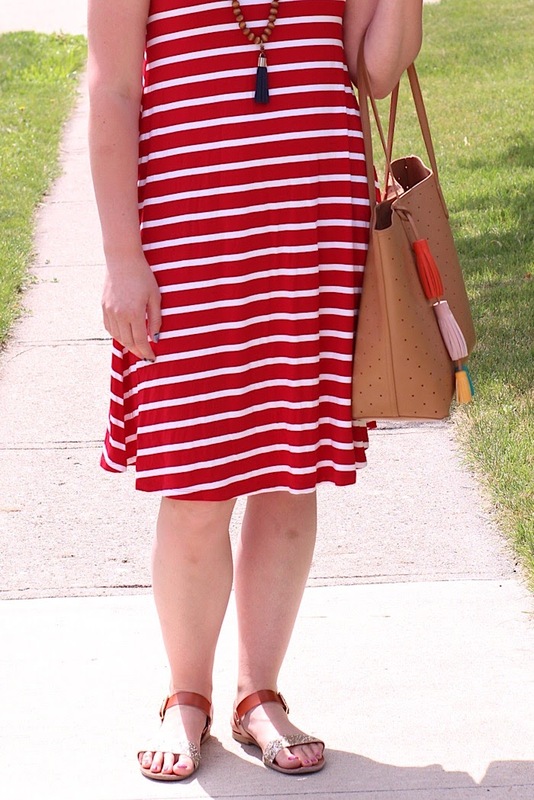 bybmg: Easy Red, White, and Blue Outfit for the 4th! 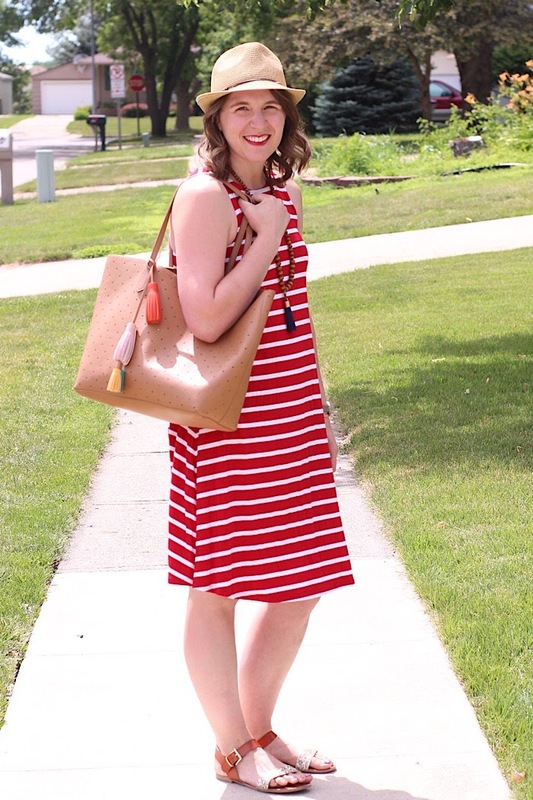 Easy Red, White, and Blue Outfit for the 4th! 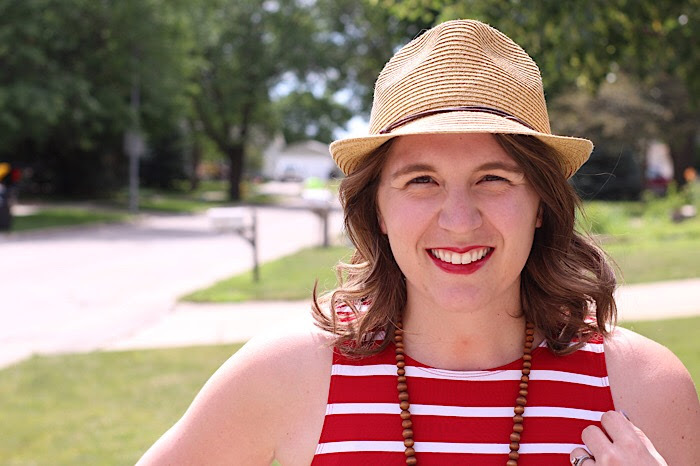 Buying specific pieces for the Fourth of July is fun, but it's also great to pull pieces together that you can wear every day and make a festive outfit. If you haven't had time to shop for a new outfit for the Fourth, I bet you can pull some things from your closet and make it work! Now, I admit I do have some "specialty" items that are Fourth of July specific in my closet, but I wanted to show you that you don't have to go out and buy things like that to get a patriotic look! 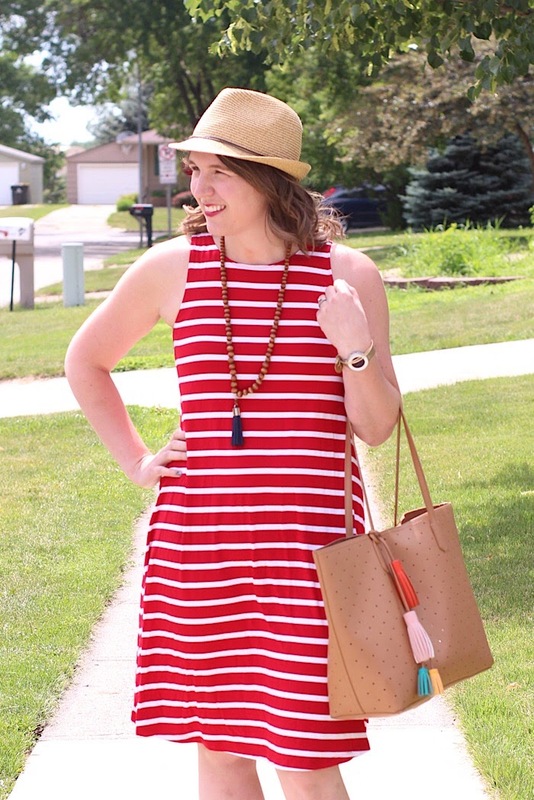 If you don't own one of these Old Navy swing dresses yet, do yourself a favor and pick up one! You can also get them in short sleeved and they are so versatile. 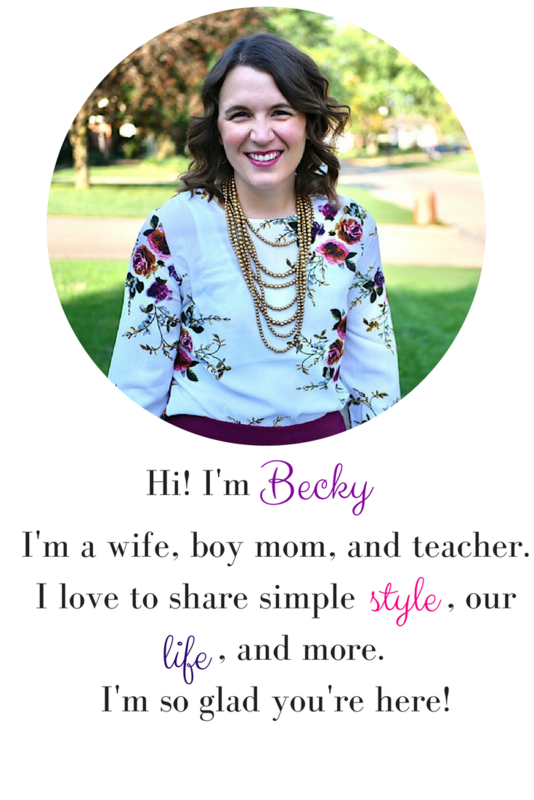 I love the tank top option because you can wear it with a normal bra, but have a cute and comfy look that is great for hot days. I purchase my swing dresses online so I can get them in a tall. I'm not really tall, just 5' 6", but I like the added length so I can feel okay wearing them to work (I'm a teacher) as well as play. 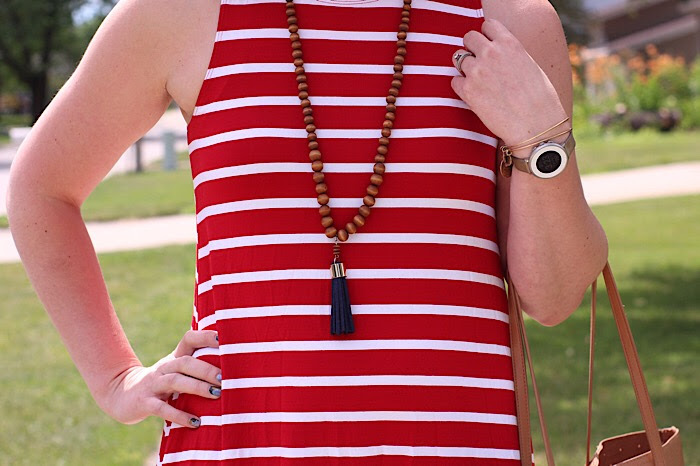 I love basic tassel necklaces, and this one with a navy tassel has totally been more than worth the $15 or less I paid for it at Charming Charlie. 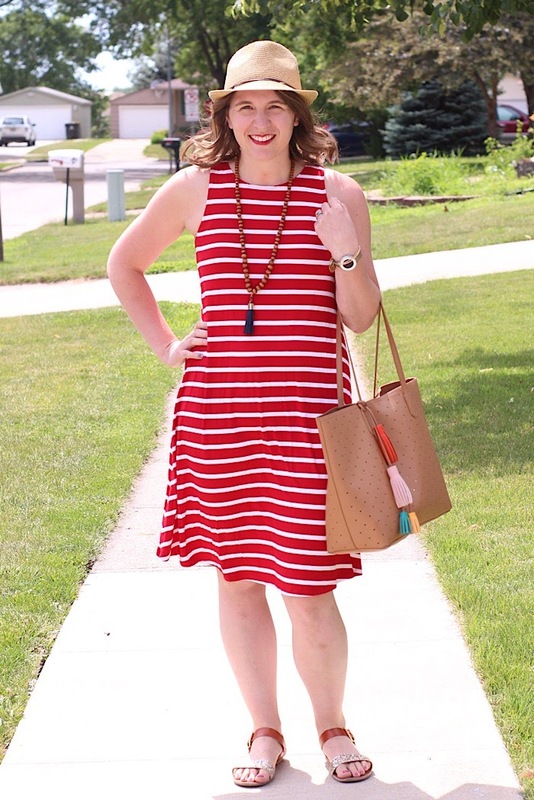 It works well with jewel-toned pieces, but also is great with reds for a patriotic feel! 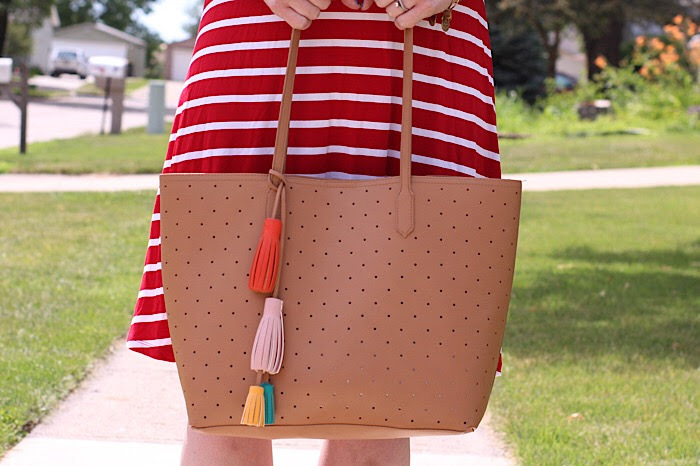 I added my favorite Old Navy bag, because let's be real, on the Fourth of July I'm going to be chasing my kiddos around and this bag holds all the things I need like applesauce pouches, diapers, wipes, spare toys, and more. These Target glitter sandals are on repeat. I'm sorry if you didn't snag a pair this year, but I hope they bring them back next year! I actually bought another pair this year so when my first pair wears out, I will have a back up. That is how much I love them! I did find a few similar pairs (here, here, and here). Last, I threw on a cute hat because hats are so fun and they can save a bad hair day! 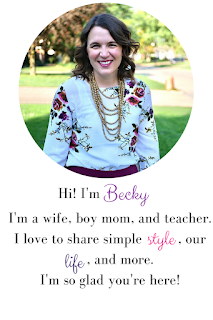 I could also throw my hair in a low ponytail or braid, throw on the hat, and look casually put together! All in all this outfit is a winner and I didn't buy anything specifically for the Fourth to make it!